Good Friday is the day Jesus Christ was crucified. Easter Sunday is the day, of his Resurrection. This is also the beginning of the Easters. Just what has Easter bunny and Easter eggs got to do with Jesus Christ? Nothing. Exactly, the Easter bunnies and eggs have nothing directly to do with Jesus. Easter is a per-Christian spring festival. The Anglo-Saxons worshiped a spring deity by the name of Eostre. 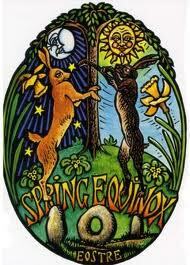 The celebration took place on the Vernal Equinox (the equinox that falls in the month of March or spring). 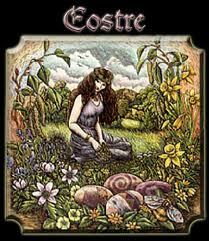 Eostre was depicted in attendance of hares. Hares and rabbits are fertility symbols of ancient times. Rabbits and hares are prolific breeders and it is said that some of them can conceive a second litter even before the previous ones have been delivered. It is but natural, that the hares are seen as fertility symbols, for a generation surviving on agriculture and worshiping abundance. When the Christian missionaries came across the ancient Saxons, they tried to convert them to Christianity and take them away from the pagan-worship that the Saxons were used to. However, the early converts could not shed their Pagan ways and festivities. Lest this be a point of confrontation, the missionaries allowed Pagan festivals with a Christian fervor. Since the Resurrection coincided with the worship of Eostre, such intermingling was allowed initially, till the newer generations saw it as a Christian celebration only. Eostre worship gave way to Easter celebration and the pagan celebration gave way to Christian tradition. What stuck on was the association of rabbits and eggs. 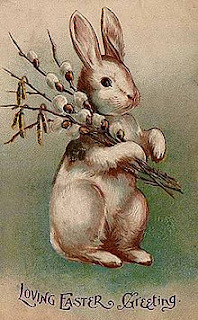 The Easter rabbit or the bunny as it is lovingly called, has remained and is akin to Santa Claus in Christmas. According to legends, it brings along with it gifts, toys and candies, along with eggs for children who have been good and nice all year long. The Romans believed that all life came from eggs and the Christians believed that an egg was the starting point of life. 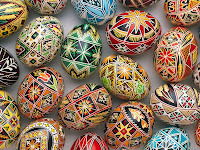 Decorating eggs in different colours also stood for the colours that spring heralds with its advent. Some orthodox Christians colour the eggs red, depicting the blood of Christ, while some colour them green, in the depicting the colour of leaf in Spring. 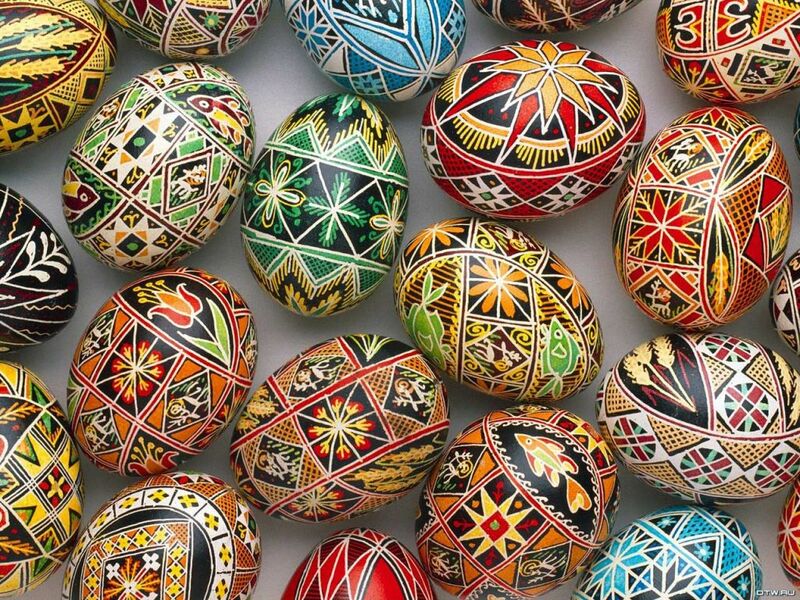 Over time, the eggs have changed to being painted in different hues and designs. Another practice that is still followed is the rolling of eggs on the next day of Easter, i.e. on Easter Monday. In some of the Scandinavian countries, children roll eggs (boiled) down the hill. This is compared to the rolling of the rock of Jesus Christ’s tomb, when he resurrected. 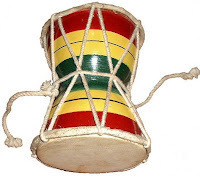 Till date, White House sponsors this sport for all children below the age of twelve, a practice started by the wife of the fourth President of US. So on this day, let us celebrate both the Resurrection as well as the advent of the season of colour and love, Spring! According to an interesting myth, once there was drought on earth for a prolonged period of time. People were going through tough time due to scarcity of water and thus no crops and fodder for cattle. It was believed, that Lord Indra was responsible for the rains and whenever it rained, Lord Shiva would play his damru (a small hand-drum). Parvati, Shiva’s consort was worried about the situation and both of them decided to descend to earth, in a disguise and check for themselves, the state of their devotees. The scene on earth was as expected. Land had cracked up; dead cattle lay all around, with the sun blazing down on earth. There was not a drop of water anywhere and people were migrating to wherever they thought there was water. Amidst all this, they were surprised to see a lone farmer, plowing his field. Both of them, in their disguise approached the farmer and asked him as to why was he plowing when there was no scope of rains. The farmer, replied, that Lord Indra can afford to forget his responsibility of sending the rains and so can Lord Shiva afford not to play his damru, as they were gods. But he was a mere mortal; he could not afford to forget how to plough his field. Also, it was his responsibility to plough the land and he must do his job, rains or no rains, as he did not have the luxury of abdicating his responsibility like the gods. None would question the gods for failing in their responsibility, but he was answerable to his family. Both Siva and Parvati were taken aback, by the response and were ashamed. It was then that Shiva decided that he should do his job, rains or no rains, and he started playing the damru. Hearing Lord Shiva’s damru, Indra realised his folly and sent down the rains and the drought ended. A very simple myth, but such an important lesson. No matter what, do not run away from your responsibility. Even if the circumstances are not favourable, just do your bit. If the powers-that-be have not taken heed of the massive drought in certain parts of the country, we must do your bit by contributing in whatever form we can. Farmers are dying and their families are left to fend for themselves. Many of us don’t/can’t do much, except feel sorry. 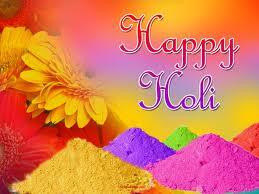 Tomorrow is Holi. Celebrate the festival with all the fervour it deserves. Spare a thought for the ones who are suffering from drought like conditions and are parched for water. 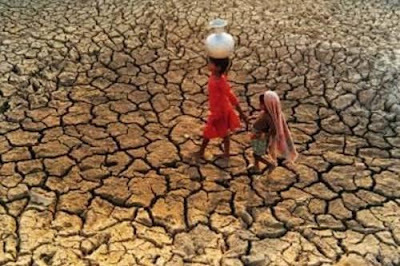 Many have vociferously come out saying, why should we not play holi with water, when the responsibility of the acute shortage rests with nature and government? If the government does not take adequate steps, why should we and our children undergo austerities? No dispute to the question and so true too. But I have just one thing to remind many of us of a simple emotion that many of us have grown up with. Earlier, when most of us have stayed in smaller buildings prior to moving in to large societies, if someone in the building died, as a mark of respect or solidarity with the family, we used to refrain from watching TV or listening to loud music for a few days. The situation is not very different. 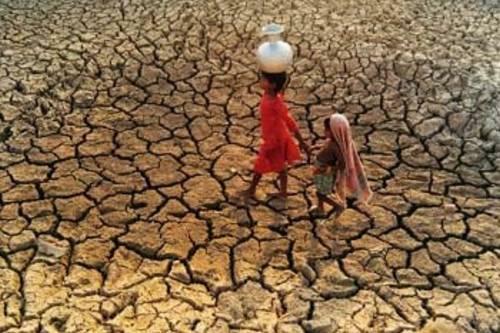 Some of our brethren are deprived of water for basic needs, for whosoever’s fault it might be. 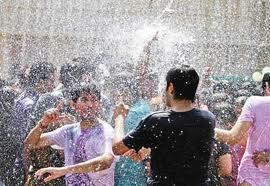 Under such circumstances, how humane would it seem to celebrate holi with rain dances, et al? 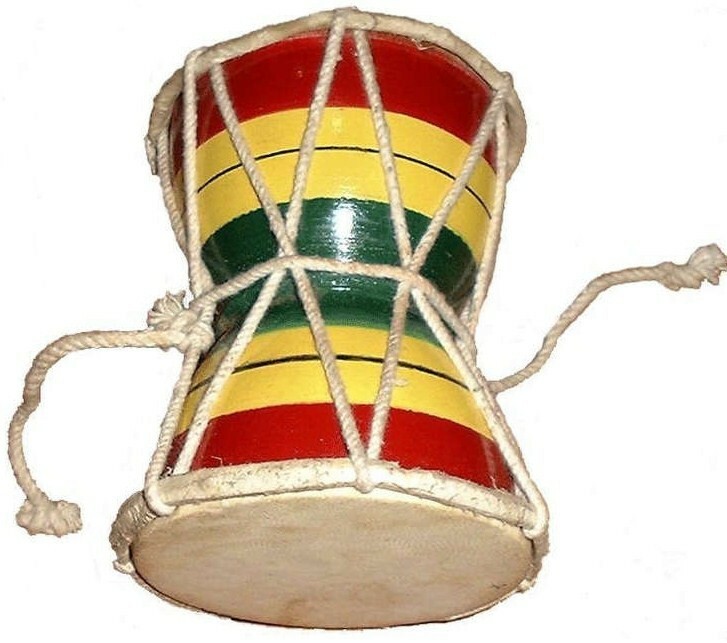 Do play holi, by all means, just spare a thought for people who get water once in 35-40 days for basic necessity while passive authorities are busy politicking. 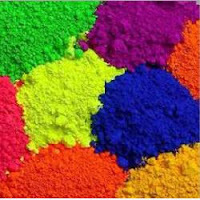 You do your bit – play holi, but spare the wasteful splash! Here is a Greek myth, the lesson of which is valid even today. 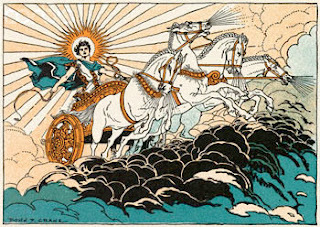 Phaethon was the son of the Greek Sun God Helios* and Clymene, a mortal from Ethiopia. Since Helios had a tough job of driving the sun from across one end to the other every day in his chariot, Phaethon stayed with his mother on earth. Once one of his friends laughed at him when he said that he was the son of Helios and refused to believe him. Later his mother too assured him about it, but he would not believe. His doubt took him to the heavens where he found himself in the presence of the mighty Helios who was bright and radiant, and so was his palace with lofty pillars of gold and bronze, all shining like burning fire. When Phaethon asked Helios if he was really his father, Helios agreed and assured him about it. Helios went a step further by announcing to all in his palace that Phaethon was indeed his son. Seeing that the son had not quite been assured, Helios told Phaethon that he was willing to do anything to prove his paternity and to that effect, he can ask for anything from him, and he would do it. On hearing this, Phaethon asked to drive his father’s chariot for a day. Helios realised that he had erred and tried to convince him out of his demand. He explained to him that the chariot was no ordinary chariot as it was fiery hot and the horses breathed fire, so much so that even Zeus, the king of all gods, could not control the chariot. But Phaethon would not relent, and having made a commitment, Helios could not go back on his word, even though he realised his folly of hasty commitment. So with a heavy heart, he allowed him to take the chariot out the next day. The chariot was truly majestic. It had axle and pole made of gold and so were the wheels of gold with silver spokes. The yoke was set with jewels and the horses which were fed on ambrosia were breathing fire ready to charge. Helios applied an ointment on Phaethon to protect him from the intense heat that he would be subjected and advised him to tread the middle path and not to drive it too low towards the earth or high towards the sky. As night had retreated on the Western end and dawn was breaking in and it was time for the sun to appear on the horizon and so Helios bade his son, goodbye. Phaethon took hold of the reins and charged. But this was no ordinary chariot and nor was he used to holding such heavenly horses. Soon the chariot was beginning to get out of control. It went too high towards the skies, drying up all the clouds. Seeing this, he plunged the chariot down towards the seas, but it only ended up drying the waters. When Poseidon, the Lord of the seas, saw this, he came out to warn the charioteer, but the uncontrolled charge towards him made him plunge deep into the sea, with casualties of dead sea-creatures which upset him to no end. The chariot burnt up forests, melt down ice-capped mountains and it is said that it went too close to modern-day Ethiopia (supposedly to have his friend get a closer look of him on the chariot), the people there became black, since the heat drew the blood to the surface of the body of the people there. It is also said that it went so close to the modern-day Libya that the area became a desert and the river Nile was so scared that it went and hid its head in the earth which is hidden till date! Earth was in flames, the waters had dried up and sky was scorched. The gods came out and appealed to Zeus to stop the menace. Zeus seeing no option hurled his thunderbolt and brought down the chariot and the charioteer to the ground and soon all was well, but Helios lost his son. Helios was sad, but he realised his folly too. The myth leaves us with a very important lesson. Helios shouldn’t have made a promise, without thinking about its ramifications. Also, he should not have allowed his responsibility to become a juveniles sport. 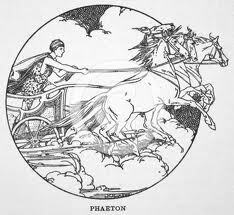 Driving the chariot across the sky was an important responsibility and Phaethon was neither experienced nor capable of handling it. He was too young to even understand the gravity of his father’s responsibility which for him was a matter of adventure, or misadventure as it turned out to be. I find this myth so contemporary when I read about underage children driving their parents’ vehicles irresponsibly leaving a trail of tragedy behind them, when they are unable to control the vehicle. Myths of this nature highlight the repercussions of granting a child’s wish too hastily without giving it forethought. It also highlights that one shouldn’t abdicate ones responsibility in favour of parental affection. To quote Joseph Campbell, the well known author – “This tale (i.e. 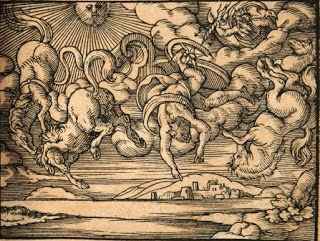 the tale of Phaethon) of indulgent parenthood illustrates the antique idea that when the roles of life are assumed by the improperly initiated, chaos supervenes”. *Different versions of this myth have used the names Phoebus and at times Apollo in place of Helios. The other details remain more or less the same. All Pics taken from Internet. All of us know how Lord Krishna stopped Arjun from fleeing the battlefield, just before the battle of Kurukshetra in the epic Mahabharata. A lesser known myth tells us of Krishna himself doing the same at one point of time, but with a difference. After Krishna killed his uncle, Kansa, he installed Kansa’s father, King Ugrasen on the throne of Mathura as the King of the Yadavas. The killing of Kansa had upset Kansa’s father-in-law, the mighty and powerful, King of Magadh, Jarasandha, since two of his daughters were married to Kansa and were now widows. Both the daughters returned to Jarasandha and urged their father to avenge their plight. Jarasandha decided to kill Krishna and laid siege on Mathura. The army of the Yadavas was no match to that of Jarasandha’s huge army, but the Yadavas managed to send them back under the able leadership of Krishna. Jarasandha is supposed to have attacked Mathura more than seventeen times, each time inflicting a huge blow to the Yadavas and the casualties kept mounting and soon the Yadavas had an army which was only name-sake. It was then that Krishna decided to leave Mathura and got Lord Vishwakarma to build a new city for them. Vishwakarma made a walled-city called Dwarka, the city with gates, which was well fortified and safe on an island on the West. However, the Yadavas saw this eviction from Mathura as an act of weakness and protested. Krishna explained to them, that he was capable of killing Jarasandha, but his time had not come, and he would not do anything which was against destiny. Also, Jarasandha’s enmity was not with the Yadavas, but with him. Krishna felt that risking the lives of so many and inflicting casualties on the community was unfair. After a lot of deliberations, King Ugrasen agreed with Krishna’s views and they decided to shift. Soon Jarasandha laid siege, and this time set the entire city of Mathura on fire. But Krishna and others had already slipped out of Mathura. This singular act of his, earned him the epithet of ‘Ranchod-rai’, one who flees from the battlefield, or the deserter. Time and again, Krishna has been taunted for this desertion and even called a coward in Mb, but many see this as an act of practical sense. Putting an entire community at risk for what was a personal enmity was unfair. Also, it is always better to fight an equal war and when one is ready. The Yadavas were not ready and were no match to the mighty army of Jarasandha. Balarama, the elder brother of Krishna had protested to this plan of desertion, but Krishna prevailed, much to the dislike of Balarama and many others. Fighting in battles is not just an act of bravery, but also that of strategy. Jarasandha never attacked Dwarka which was well fortified, proves the point that Krishna’s decision was that of good war strategy, which in the long run led to no casualties and no bloodshed. His decision to take on Jarasandha later when he had able support of warriors worthy of Jarasandha, proved beneficial to the entire community. A single epithet of the deserter did not reduce his importance, rather only enhanced it as a master-strategist with a practical sense rather than a misplaced sense of patriotism. The critical difference of Krishna’s desertion and Arjun not wanting to fight the war of Kurukshetra, is that Arjun had developed cold feet and was having moral dilemma whereas Krishna’s desertion was part of war-strategy. You can read more on this in one of my earlier articles Arjuna's Dilemma . 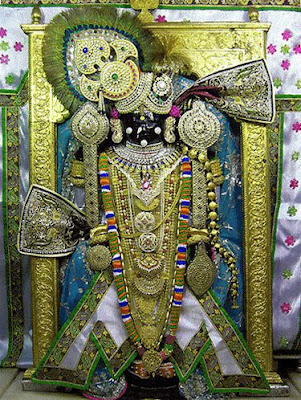 There exists a famous temple of Ranchod-rai in Dakor, Gujarat. The formation of the temple and the idol of the temple have its own rich mythology, which will be for some other day. So did Krishna ever manage to eliminate Jarasandha? That too is for another day!! !